It’s Shrove Tuesday on Tuesday. Or, as it’s better known in the UK, Pancake Day. It was a way of using up eggs and butter before the fasting of Lent took over. This being the UK, a virtue was made out of a necessity with the addition of a sporting element and yet another improbable race was added to the British Canon of People Dressed in Stupid Costumes Doing Silly Things at Speed. All of which is fine if you eat eggs and dairy. But what if you don’t? I have done some searching on the internet to find a good pancake recipe. It’s been a little complicated because a lot of the recipes are for American pancakes, which, while fine for breakfast, are not what is wanted here. 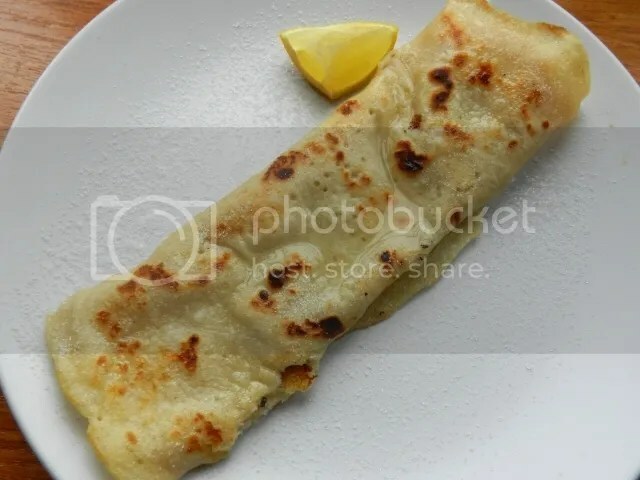 I finally tracked down enough proper pancake/crepe recipes and did some trial and error to come up with the best and simplest recipe. The essential ingredients are flour, soy milk, baking powder and salt. Please don’t omit the last one, it really does make a difference even if you’re going with a sweet filling. This recipe makes 8 pancakes, but that will depend on the size of your frying pan and how thin you can get the coating. The first one out of the pan is always the throwaway (or cook’s treat) because you never get the temperature right or the pan oiled correctly. Mix the dry ingredients together thoroughly and slowly add the milk and oil. Whisk until you have a smooth batter the consistency of thick cream. Heat the frying oil in a medium sized frying pan. Pour in enough batter to coat the bottom of the pan. Fry over a medium/hot heat until it is a light brown on the bottom and moves freely about the pan. Flip (or toss!) and cook until just cooked, with light brown patches. Serve folded with a sweet or savoury topping. I go with tradition with lemon juice and sugar. There’s a time in every winter when you just want something simple and warming. A pulse and vegetable soup hits the spot every time for me. 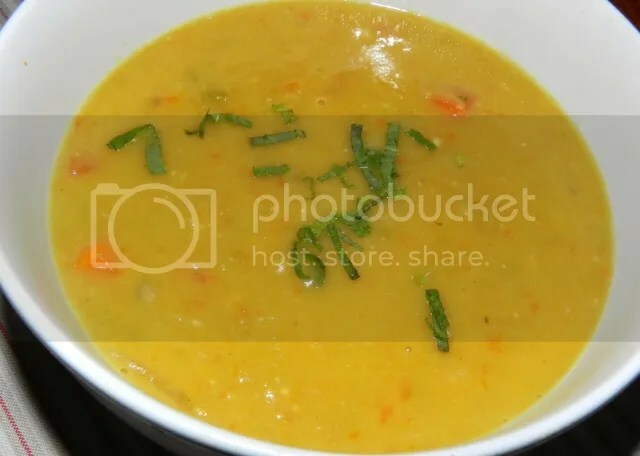 This is based on the famous pea and ham soup, so I have used the green marrowfat peas, but yellow split peas or lentils would work equally well. Just adjust the cooking time to suit. The mint lifts the flavour of this soup above the ordinary. Add the ingredients to a large saucepan. Bring to the heat and simmer, covered, until the peas are tender. This should be 45-60 mins. Remove the mint stalks and discard. Spoon out about 1/4 of the peas and carrots and reserve. Blend the remaining soup until smooth and then add the reserved peas and carrots back in. If you want a completely smooth soup, just blend all of it together. Serve with the mint leaves sprinkled over. 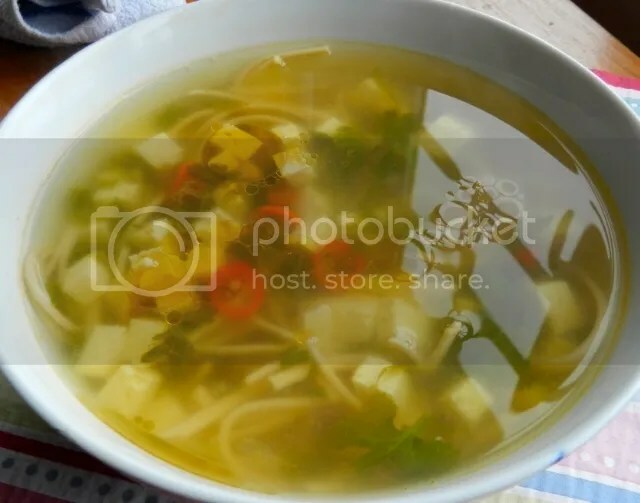 This is a simple, fragrant soup with sour and hot notes. 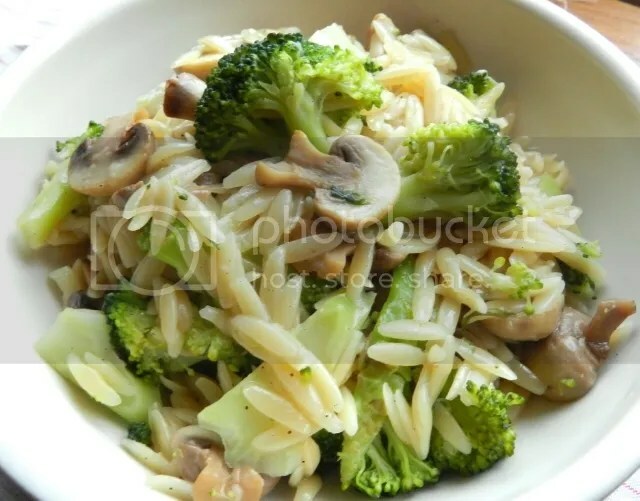 it makes a lightening-quick, great tasting, lunch or supper. You can add more vegetables to this if you want, but I’ve kept it simple with only the flavour of lemon, coriander and chilli. I have assumed you’ll be using the type of noodles that come already portioned in nests or bundles of noodles. If you don’t have that type of noodle, you’ll need about 80g per person. Cook the noodles according to packet instructions. Drain into a colander and cool under a running cold tap. Heat the vegetable stock in a saucepan. When it is simmering add the chilli, coriander, tofu and the lemon juice. Divide the noodles into two serving bowls. Serve with a little sesame oil drizzled over the top.